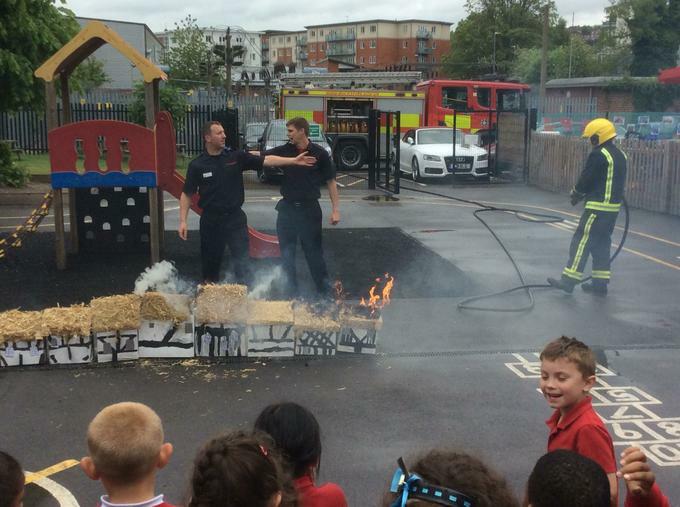 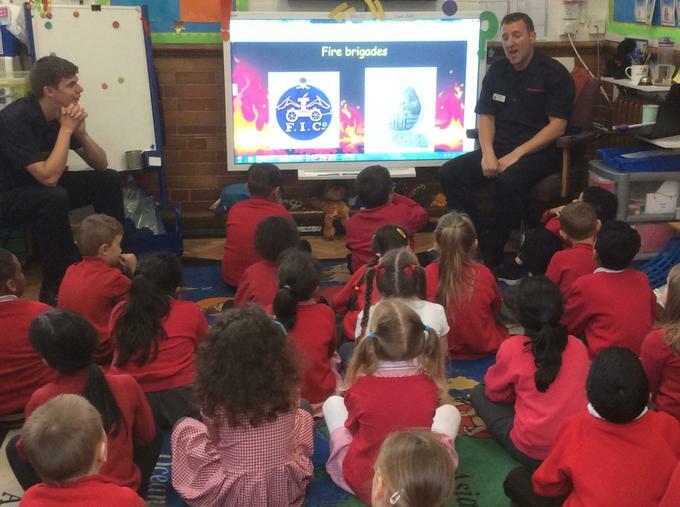 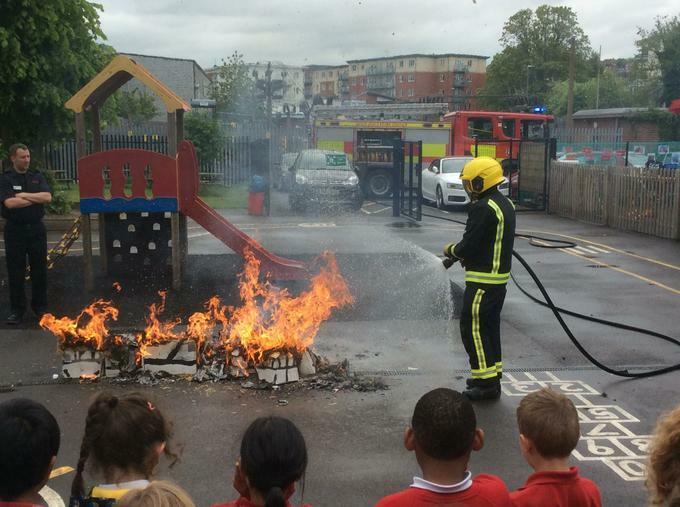 Year Two children enjoyed a visit from firefighters today who recreated London 1666 and showed them how quickly the fire would have spread. 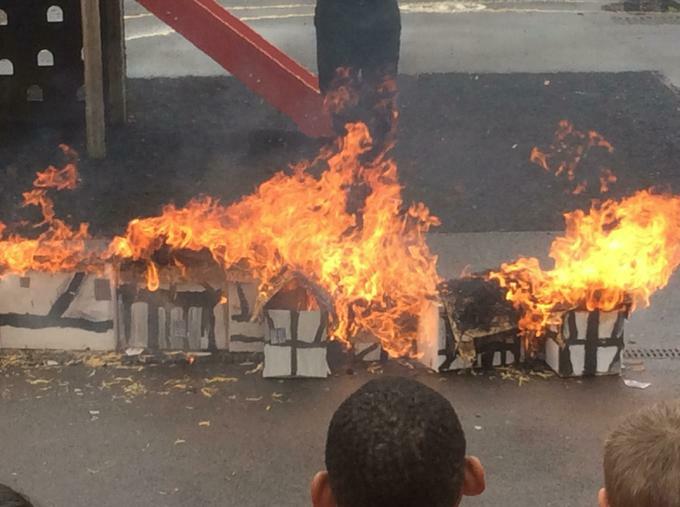 They arranged the children's tudor house models into streets with narrow alleys and then set a small fire. 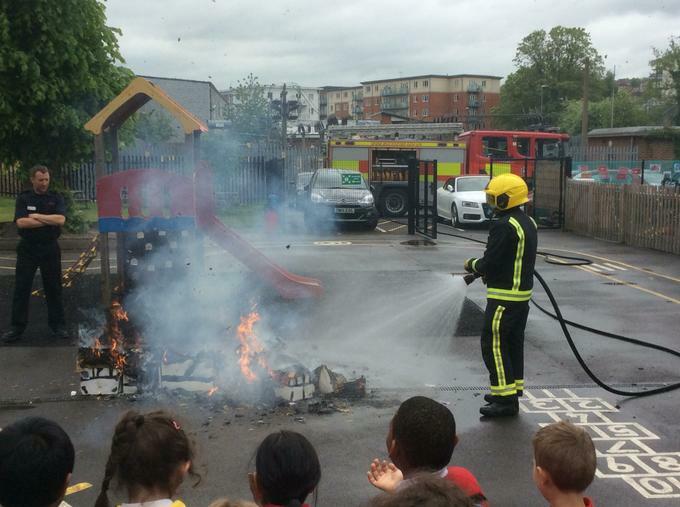 Within a very short time the fire was huge and was quickly distinguished using special, modern equipment to fight it safely. 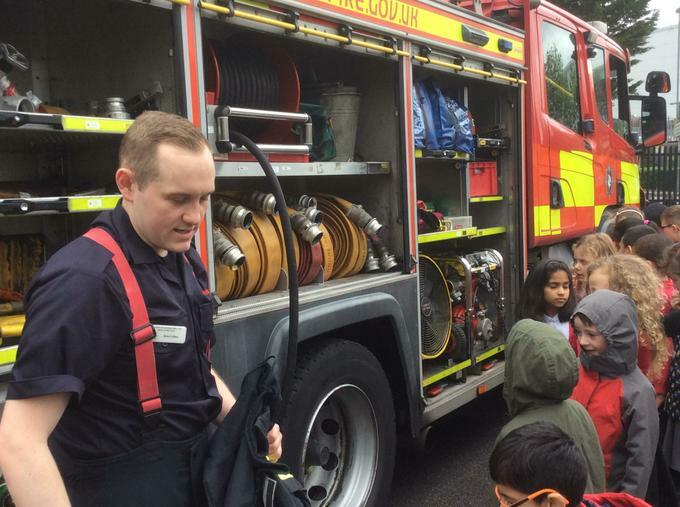 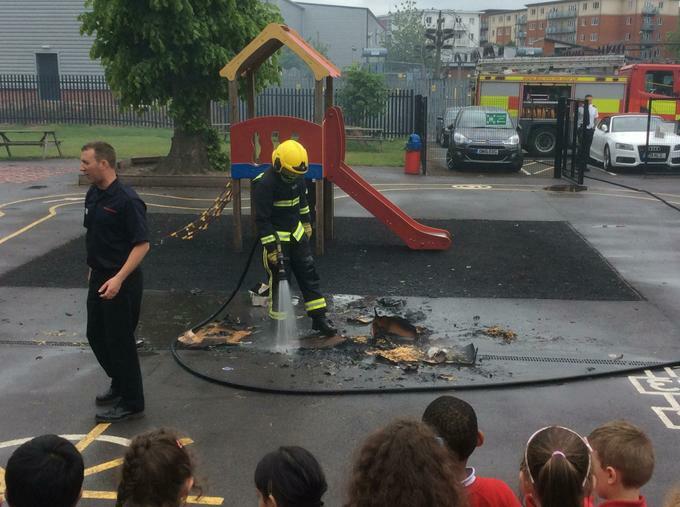 The children were then treated to a demonstration of the equipment on the engine and were able to ask lots of questions about fire safety.